Ratnanagar –The Chitwan National Park (CNP) took control a tiger which attacked and killed a woman in west Chitwan. CNP Chief Conservation Officer Bed Kumar Dhakal informed that a team of animal doctors with eight tuskers deputed from the national park brought the wild cat under control on Monday evening. The tiger has been kept in confinement at the national park. 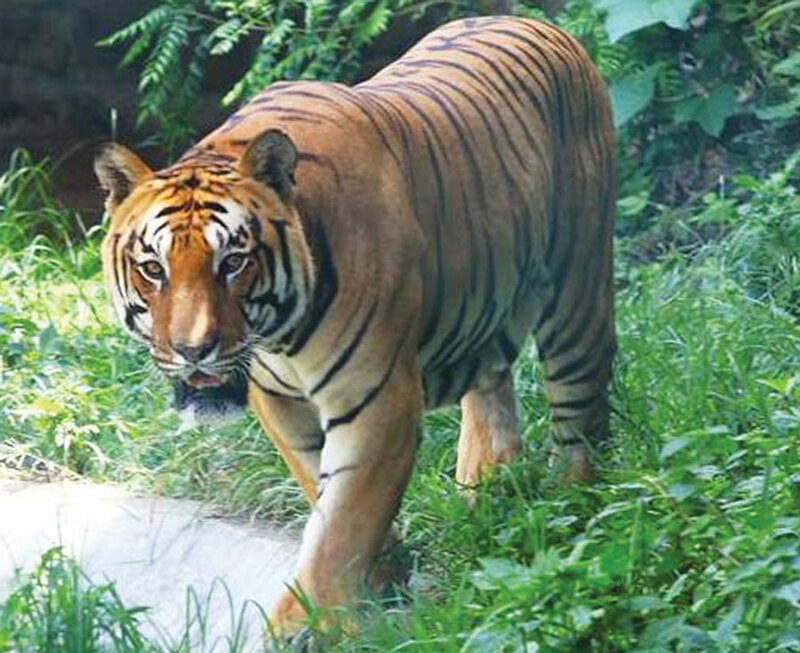 It may be noted that the jungle cat had bounced and killed Sushila Dumre, 25, while she was collecting fodder at the Raptidun Buffer Zone Community Forest in Bharatpur Metropolitan City-25 on Monday. Dhakal further informed that the tiger which was spotted around the dead body was made unconscious and taken under control with entire daylong effort. The CNP source said the tiger aged around 10-12 might have come out of its ring for not being able to struggle to hold own territory. Some days earlier, a wild cat that was held captive from east Chitwan after series of attacks on human being died due to wound infection.